To claim this profile, please confirm you are Maddy Morales. To follow this profile, please let us know your relationship to Maddy Morales. Maddy was tagged in the video "3 Three Pointers vs Lake Highland Prep." Maddy was tagged in the video "Game Highlights vs Winter Park." Maddy was tagged in the video "4 Steals vs East River." Maddy's basketball stats have been updated for the loss vs. Colonial. RESULTLoss Girls varsity basketball vs. Colonial. The Boone varsity basketball team lost Wednesday's neutral playoff game against Colonial (Orlando, FL) by a score of 45-41. Maddy's basketball stats have been updated for the win vs. University. RESULTWin Girls varsity basketball vs. University. The Boone varsity basketball team won Tuesday's neutral playoff game against University (Orlando, FL) by a score of 67-36. Maddy was tagged in the video "Maddy Morales's highlights Lake Highland Prep." Maddy's basketball stats have been updated for the loss vs. Lake Highland Prep. RESULTLoss Girls varsity basketball vs. Lake Highland Prep. The Boone varsity basketball team lost Thursday's home non-conference game against Lake Highland Prep (Orlando, FL) by a score of 54-40. Maddy was tagged in the video "Maddy Morales's highlights Heritage." Maddy's basketball stats have been updated for the win vs. Apopka. Maddy was selected the Player of the Game in the basketball game against Apopka on Tue, Jan 29 2019. RESULTWin Girls varsity basketball vs. Apopka. The Boone varsity basketball team won Tuesday's home non-conference game against Apopka (FL) by a score of 59-47. 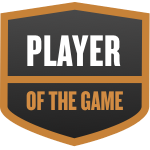 Maddy was selected the Player of the Game in the basketball game against East River on Mon, Jan 28 2019. Maddy's basketball stats have been updated for the win @ East River. RESULTWin Girls varsity basketball @ East River. The Boone varsity basketball team won Monday's away non-conference game against East River (Orlando, FL) by a score of 51-40. Maddy's basketball stats have been updated for the win @ Winter Park. RESULTWin Girls varsity basketball @ Winter Park. The Boone varsity basketball team won Friday's away conference game against Winter Park (FL) by a score of 61-15.